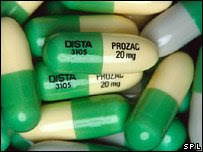 The use of antidepressants needs to be placed in the larger context of postmodern cultural assumptions about what constitutes the human condition. In a society where health and happiness are now taken to be inalienable rights, many experiences previously taken to be normal and inevitable, if painful, parts of life – for example, stress, shame, guilt, grief, let alone melancholy or angst – have been pathologised and medicalised. Treatment becomes de rigueur, and not just through the prescription of pills but also through referrals to therapy and counselling (with their own hidden premises about what the ancients called the good life). The irony is that in a culture of consumption that values autonomy and choice above all things, these interventions represent profoundly disempowering developments and collude not only in self-alienation but also in social fragmentation. Moreover the privileging of the emotions over the intellect, the displacement of hard thinking by the simplistic soundbite, and our obsession with speed to the occlusion of patience, all conspire to guarantee that no critique will be taken seriously even if it is heard – particularly if it is spoken by a philosopher, let alone (heaven forbid!) by a theologian. O tempora! O mores! Or, in the vernacular, what goes around comes around.